Mirr Ranch Group is proud to announce the sale of Wolf Mountain Ranch, a western big-game hunter’s paradise situated in an incredibly scenic mountain setting. The property is comprised of approximately 9,280 deeded acres, located in the heart of the Little Wolf Mountains in southeastern Montana. World class elk and mule deer have been harvested on this legendary Montana ranch and surrounding area. This versatile ranch also supports a viable agricultural operation including hay production and cattle grazing. “The inherent production and recreational values associated with Wolf Mountain Ranch are a rare combination, further validating the desire for a balance of income producing and recreational attributes by many of today’s buyers,” explained listing ranch broker, Duffy Brown. A recent #1 Pope and Young World Record Typical Archery Elk was harvested directly adjacent to this Montana ranch in the same hunt unit. It is not uncommon to see 400” elk and 200” mule deer on the ranch during the fall months, particularly during early fall archery hunting season. Accommodations at the ranch include a tastefully built 5,400 sq. ft. hunting lodge built in 2008, and also a very clean and functional 60×40 metal shop. 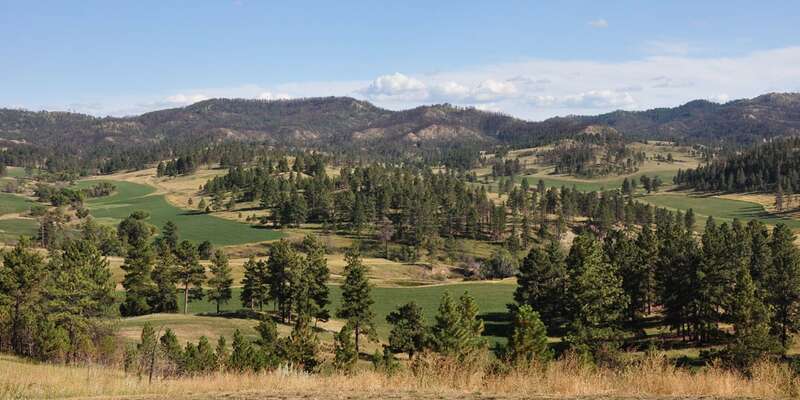 Wolf Mountain Ranch was listed for $9,750,000. Congrats to Duffy on the sale, and be sure to check out the video featuring this fine property. Also, if you are interested in understanding the hunting licensing system and landowner preference in Montana, check out Duffy’s blog on the matter. Listed in cooperation with Wildlife Resources LLC & exclusively marketed by Mirr Ranch Group LLC.